I recently won this gorgeous polish in a giveaway from Darling Diva, and I sure hit the jackpot with this one! Here is the cool and captivating Zen Pool. Zen Pool is a mix of fuchsia, white, and turquoise circle glitters, medium and large white hexes, and holographic turquoise hexes, all in a beautiful, shimmery semi-opaque aqua base. The base is sheer, but build-able, and can be worn on its own in about three coats, or layered over another color. I decided to layer it over a nice aqua blue polish, Sinful Colors Sweet Nothing, as I think it really makes the glitters pop! This was two coats over Sweet Nothing, and I did a bit of "placing" just to get the glitters where I wanted them. 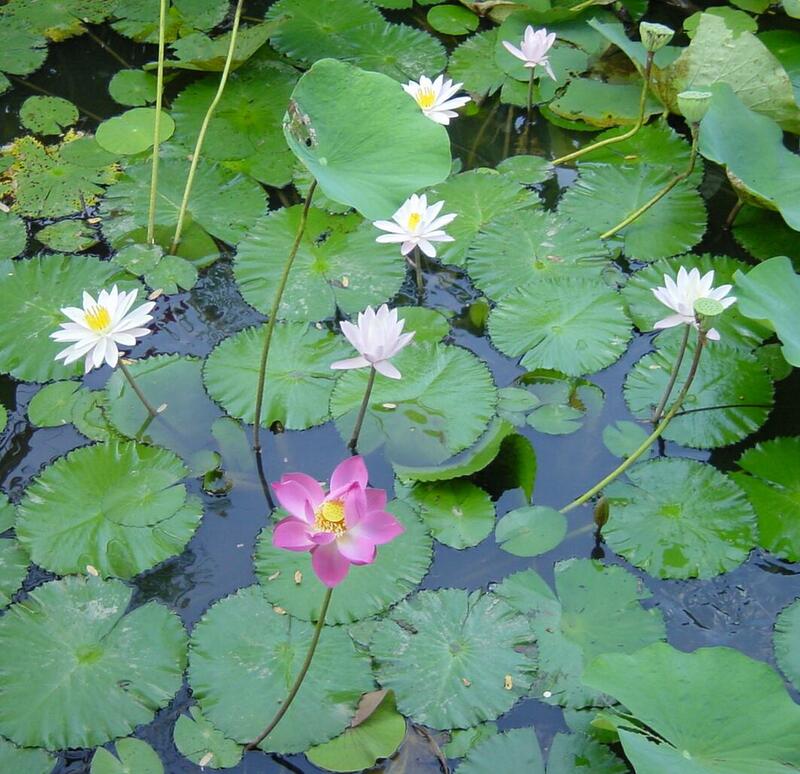 The colors and shapes really are quite reminiscent of a water lily pond; tranquil yet dazzling. I'm completely enamored with this polish! The color combination is stunning and the circles and large hexes make it so unique. Zen Pool has a very summertime/beach-y feel to it too, perfect for the sunny and gorgeous weather we've been having here. Darling Diva polishes can be purchased from her Etsy shop (currently on vacation until May 3rd) as well as from Llarowe, and hopefully Llarowe will have Zen Pool for sale soon!